Moxy is a modern American tapas restaurant focusing on smaller plates meant for sharing and taking our inspiration from our local farmers, culture and history. 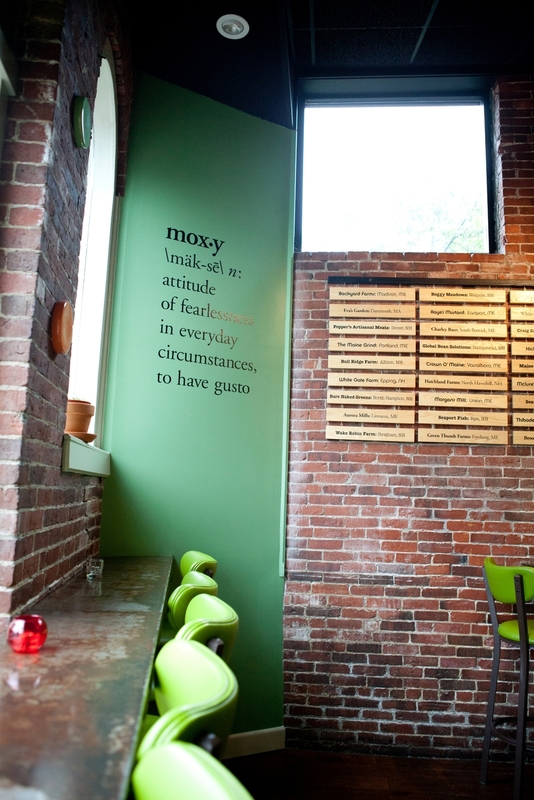 Moxy is tapas in spirit, energy, style of dining and service, but American in execution, products, and inspiration. We aim to provide an everyday place that the community can come and have a drink and a few snacks, or multiple items shared with friends for a truly unique dinner experience. We aim to be casual, energetic, and fun while providing a very high level of service and quality of food at the same time.